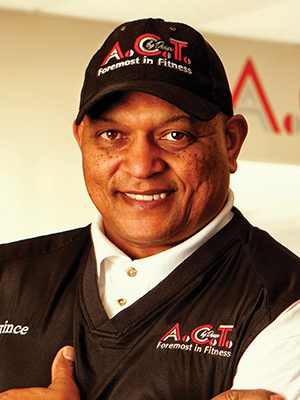 Prince Deese, an All American Wrestler, a Hall of Fame Football Player, and a State Champion Body Builder, is a certified personal trainer and strength conditioning specialist. Prince Deese and Gina Deese own A.C.T. by Deese, a Fitness & Training Center in Greensboro, NC. Summer is fading, and the fall season is upon us. Temperatures will soon begin to drop, and the Summer sun will go into hiding. But the body’s needs will not change, continuing to require activity and movement in order to remain agile and able to meet daily physical demands. Walking is one of the best ways to meet your needs for daily activity. It can also be uplifting as you observe nature’s changing of seasons. Not only can walking help you maintain a healthy weight, but it can assist in preventing or managing various health conditions such as heart disease, high blood pressure, and type 2 diabetes. Many believe that a regular regimen of walking can reduce pain, lower the risk for cancer and chronic disease, prevent unwanted weight gain, and improve endurance and circulation. Walking, which works to strengthen bones and muscles, has a positive impact on one’s state of emotions by improving mood. Walking helps to maintain good balance and coordination that are necessary in the prevention of accidents. Because of the many healthful benefits, walking has been called “a magic pill.” It works to promote fitness and cardiac health, alleviate depression and fatigue, supports the basic feelings of emotional wellbeing (NBCNews.com). Whether you walk on a treadmill or take a stroll through the park, both your physical wellbeing and mental status are impacted by healthful influences that are known to improve fitness, strengthen cardiac health, reduce pain, and lower the risks of cancer and chronic disease. Routine walks will promote stronger endurance and improve circulation and posture which, in turn, will lower the strain and stress on joints. As in all exercise regimens, regularity and discipline matter. Should you find that you need assistance or support in getting started or in maintaining the determination to continue a healthful regimen of walking, call A.C.T. at 336-617-5304.